Books in Real Life are as popular as they are in Second Life. It is a way for people to either educate themselves. Flick threw magazines for inspiration or to get away and engulf themselves in another world or life. The Book Island owned by Selina Greene who cleverly came up with the idea of a sim totally dedicated to books and other reading format. Book Island has incorporated the book club idea and taken it to another level; where others can immerse themselves in books or discuss literature with others. Other activities include socializing at events hosted on Book Island. Selina was kind enough to sit down with me and chat about her creation and how Book Island came about. Piers. Hi Selina, can you tell us a bit about yourself? 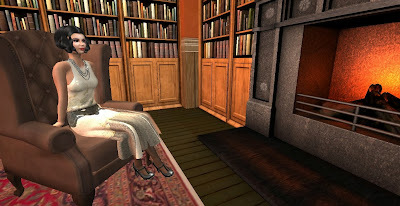 Selina: I've been in SL since early 2007 and have had Book Island since May 2007. I came in here originally to publicize my now defunct RL publishing company back at the time when a lot of RL firms were coming into SL for similar reasons so I created my storefront and no one came, so I figured that if there were more of us - ie more publishers, authors, writers in one place, perhaps people would take note and that was how the idea of Book Island was initially conceived, on the mainland. Since then, I've been obviously very involved with Book Island, but on the side, I've done a bit of modeling, I've been breeding horses for a while and I also happened to meet my now RL husband here in SL back when we were both noobs! Piers: How did Book Island start? Also, it has been around for a few years now. What do you think is the reason for your success? Piers: You have live events here at Book Island, what type do you host and how did this start out? Selina: We’ve been doing events pretty much since we started although the frequency and number of events has waxed and waned over the years. I'll pass you our weekly schedule in a bit so you can see what we're currently doing. We have a wide variety of events these days - from open mic events to a twice monthly dance, improv workshops (which are a scream), memoir writing workshops, live writing events and Shakespeare reading circles. We also have two very popular chat groups - writer's chat and reader's chat where people can just talk about what they're writing and reading So it's a pretty diverse set of events as with everywhere in SL, we're a very international set but I think that we're a bit older than average in SL. Piers. With books in real life becoming digitized on apps and kindle, do you feel this is a good way to introduce more people to reading? Or do you feel there is nothing like having a real book in your hand? Selina: I made the jump to a Kindle relatively recently - about 18 months ago, eschewing a tablet for real paper, but now I have one, I'm hooked. I think SL is a great environment to promote books because of the 3D environment but also because of the ease of presenting links for direct download. Interestingly, when we first started out, we would see a lot more in-world readable books in our resident's shops but I think SL is going the same way - we're seeing fewer (virtual) 'real' books and more links to kindles and ebook formats In fact, this and many other issues are addressed in one of our weekly events, BookBiz, hosted by Jacksonarthur - helping writers pick through the minefield of how to present their books. Piers: When you are not busy working in second life, what do you like to do in your spare time? Selina: Well, I spend a lot of spare time with friends, many of whom are Book Island community members. But I also breed horses and have done since their heyday, which was quite lucrative. Other than that, I like to shop for vintage clothes and tinker with my home sim here and there. In RL, I am a full time mother these days so SL can wind up being a link with sanity in the evenings and nap times! Piers. 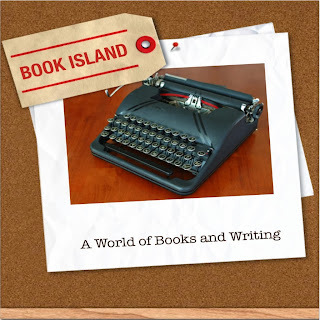 What is next for you and Book Island? Selina: As far as the next year goes, more of the same really - more events, more community, more connections. I think I'll probably continue with the sim remodel which I started earlier this year. 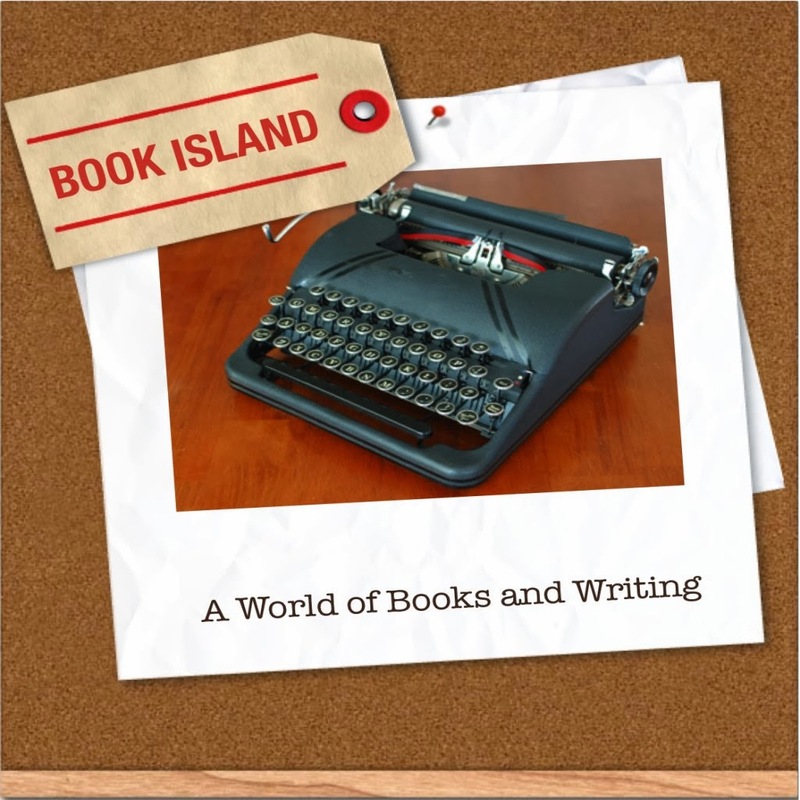 To find out more on Book Island and about Events being hosted at Book Island Teleport today!